"MY LIFELONG DREAM NEVER INCLUDED FALLING IN LOVE"
My lifelong dreams never included falling in love. Graduating top of the class, going to college somewhere far away and starting a life in a place where my alcoholic mother could never find me were the first three goals on my list. Then the unexpected auto accident with Mother, after her regular doses of vodka, altered all of that. With her gone, my life and my perspective changed forever. Desperate to find Joanie so I could break free, I returned to my old school. The search led me to her, my Aphrodite, a familiar lost look in her soulful eyes. Fantasies of her forced reasoning from my mind. I had to meet her! Once fallen, would her love for me survive the ghostly secrets haunting us? Born in California, and raised in Minnesota and Texas, P.G. spent her early years writing poetry and winning poetry contests, while escaping the drama in her own childhood by reading great books for children. Ever since her earliest days, she loved story telling. She wrote numerous short stories in High School and her early college years, continually trying to relive that first experience at the age of seven of seeing her name in print in the local newspaper. P.G. sought her education at the University of Texas, where she studied English, literature, and Education. During the entire process of earning her BA and M.Ed, she never stopped writing and trying to be published. It was during this time that her first children's book No More Stinkbugs! was accepted for publication by Castle Keep Press. Many of her stories develop from nature. P.G. graduated college and began her career in education, another great world that offered real experiences to humor and delight through children's books. She watched children interact, bringing to surface her own experiences as a child and yet more events to write about. While teaching, she discovered many great books for young people, such as The Watsons Go to Birmingham-1963, Maniac Magee, So. B. It and many more. She is a fan of Dean Koontz novels, too, and loves reading fantasy and paranormal books. P.G. was married 20 years in March 2012 and has a bright, young daughter who has begun her own college career. She lives on a small farm in Texas with her family and animals. P.G. has experienced great love and loss throughout her life. Those her family has lost have dedications in her books. P.G. 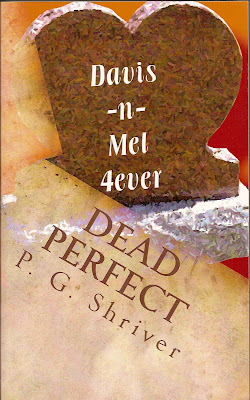 has two young adult books published, Dead Perfect and The Gifted Ones: The Fairytale the first book in The Gifted Ones Trilogy. She also has several children's books written under Gean Penny, her pseudonym. P. G. has since dissolved her contract for her first book with Castle Keep Press and moved the title to her own imprint, Gean Penny Books.